The Garage Door Guy Offers the Best Garage Door Repair Services in all of central Arkansas! The Garage Door Guy Corp provides garage door repairs and replacements for commercial and residential properties in the Little Rock, AR area. We are devoted to excellence, providing superior workmanship and products. We take pride in our work for everything we do, whether it’s a commercial garage door repair or a residential garage door replacement project. Our business is operated by skilled garage door contractors, so your home or business is in good hands. Regardless if your garage is small or large, we service garages of all shapes and sizes. Our experience and knowledge will exceed your expectations. We get that old garage looking new again. You can expect great customer service at the most reasonable prices when you come to us. Kris was prompt in returning my call, set up a service for the next day, and was on time. He did a very good job, was quick, and professional. Checked my door out to make sure that it was all in good working order and even did some extra minor repairs. Definitely will use this company again and recommend to anyone. Great service and reasonable rates. Garage Door Guy replaced some springs for me. After a couple months, one snapped (manufacturer issue). I let them know and they came out and fixed it the same day free of charge. I'd highly recommend them! Thank you to The Garage Door Guy! 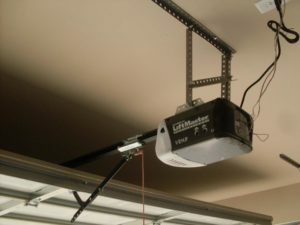 I thought I would have to have a new garage door opener. They came over and said it was just a small thing that needed fixed. They were able to save me money and fix my garage door! Chris at Garage Door Guy Corp - Little Rock is AWESOME! He came out on a rainy Saturday morning to replace my springs. He was here within 15 minutes of telling me he was on his way, fast, efficient, and friendly (that's important to me). Prices was reasonable too. I totally recommend The Garage Door Guy for garage installation, repair, and replacement needs. We love our new garage doors. Thank you for the awesome service. Highly recommended! Call Chris, The Garage Door Guy, 501.412.2475. I called him at 4:30 PM on a Friday! He was here within 15 minutes, replaced both springs, job completed in about 30 minutes later. He even went above and checked all the screw points on the door. Total price was overly fair in my opinion. He's a good guy to know in a pinch for sure! I HIGHLY recommend to call Chris if your garage door needs repaired. I have had Kris Taylor, The Garage Door Guy, do several repairs and new installs for me. I also highly recommend him. He just recently installed two new doors at a house for me and beat Harmon's price by $340.00. I also recommend Kris Taylor highly. He has done work for us several times including a full door installation and the replacement of an entire opener assembly under warranty. He came and took care of a problem we had las t Sunday morning, arrived 10 minutes after we called and fixed the problem in another 10 minutes. He charged about half what we expected for a Sunday morning service call. I refuse to believe that he would rip off anyone. Kris is absolutely the BEST!! He was at my house to fix my garage door within 30 minutes of me calling him at 5 pm! I shifted into reverse prematurely before the door was completely open and the door took the blunt of the hit. Not only is he the nicest and most professional guy, but he's great at what he does! Dustin was with him and he's great as well! Fast, affordable, trustworthy , professional! Recommended 100%!! Quality performance that exceeded any expectations I had!!!! I happened to see their truck on the interstate and remembered my garage doors have been totally non functional for 3 years. I called and Kris set an appointment for the next day. He showed up when he said he would and completed all the repairs in less than 30 minutes. I was previously told one of my doors would need to be replaced....nope. Kris repaired it, serviced both, added a second remote and a keypad. All for a price less than 1/3 of what I expected. I will be handing this card out to family and friends for years to come. Thank you for making something I was dreading so quick and painless. Contacted Kris to repair a broken spring on my garage door. He was very professional, scheduled the appointment immediately and kept me informed on his arrival time. He repaired the door professionally at a fair price. I would definitely recommend his services if you are in need...First class operation! We have the tools and knowledge to provide individual service, so don’t waste your time online or on the phone looking for a Little Rock, AR garage door repair business for your home. As with any part of your home, your garage door requires normal maintenance. We recommend having your garage door examined approximately every year. With us, you have the opportunity to deal directly with professionals that specialize in high-grade residential garage door repairs. Customer satisfaction is our top priority. We are the preeminent Little Rock garage door replacement specialists, and we have decades of experience as residential garage door experts. If you have a particular garage door style in mind, our staff can assist you in finding what you are looking for. We offer a wide array of residential garage door replacements, guaranteeing we have the one you want. Our residential garage door replacements are the best in the industry, saving you a vast amount of money on top name brands. 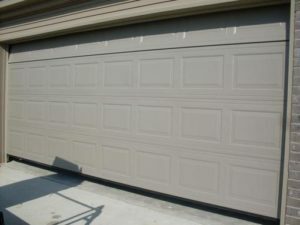 Every residential garage door used for replacement by us is made of premium material and parts. We select only the best to utilize for your home. As a first-rate home garage door replacement company, we welcome the opportunity to prove to you what we are capable of. We provide the best commercial garage door repair service to business owners in the Little Rock, AR area. With supreme knowledge, training, and dedication, we perform all repairs on garage doors of all brands and manufacturers. 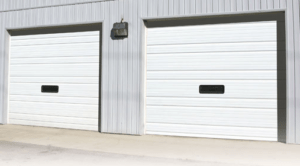 In addition, we sell the finest commercial overhead garage doors in the market. We find that a huge percentage of our customers are repeat customers, referring us to their acquaintances. Regardless of what type of commercial garage door you have, we have the most-advanced tools, measurement, and alignment devices in the industry. 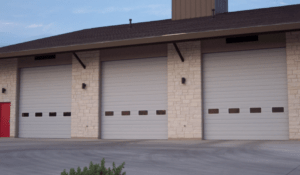 Not only can we assure accuracy and precision in repairing your commercial garage door, we make sure it is wonderful looking, using our time-honored practices and remarkably accurate repairing methods. All work is done according to manufacturers’ specifications and all repairs are genuine. We have a tradition of expert business door repair service. When you contact us to repair the doors on your business, you get work that is done quickly and efficiently. Our aim is to save you valuable time and money. 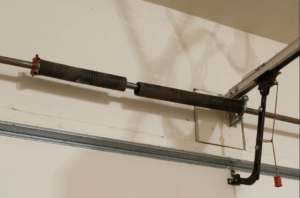 Don’t buy a new commercial garage door just yet. Let our specialists take a look at it and see if it can be repaired. We are fully-equipped to handle any type of commercial garage door project that you have. All work is performed meticulously on location in accordance to standards by contractors with a vast number of years in the industry. We provide top-notch workmanship at an exceptional value, giving you the peace of mind that your commercial property is in the hands of qualified professionals. Our skilled crew is reputable and gets your business garage door replacement job done right the first time, making your commercial property look neat and clean. We want you to turn to us for professional services when it comes to repairing or replacing the door on your business. No matter if your commercial garage door is aluminum or wood, we are here to help. Regardless if the project is big or small, we give the same level of care required for exquisite results. Our Little Rock garage door company is proud of its experience and knowledge in the garage door industry, and our aim is to meet your project needs through remarkable workmanship. We use state-of-the-art products and methods for replacing your commercial garage door for its lifetime. In addition to our quality materials, our friendly crew has the talent and know-how to deliver first-class business garage door replacement service. We stand behind our work, ensuring you receive the finest results. If you live in or around in any of the locations below, we would love to take care of any of your garage door problems! Just a Few of the Good Reasons Our Employees are the Best! The Garage Door Guy Corp is the expert in commercial and residential garage door repairs and replacements, which needs to be done efficiently and quickly. Our employees are highly-trained specialists with many years of experience, committed to keeping up with the latest advances in the industry. We help keep your Little Rock area home our business looking new, assisting you to maintain the reputation you deserve. We are an affordable, hassle-free solution with a reputation for getting the job done right. Our company guarantees you will save thousands of dollars by repairing instead of installing. We established our business on the belief that our customers’ needs are of the utmost importance. Our employees are devoted to meeting those needs. We welcome the opportunity to earn your trust and deliver you the best residential or commercial garage door service. Our staff provides unmatched service and an unparalleled skill set by perfecting superior-quality workmanship for our customers. We are the leaders when it comes to repairing your garage door to its original condition. Since demand for perfection in garage door repairs and replacements is so high, the employees at The Garage Door Guy Corp are always busy around Little Rock, AR repairing or replacing garage doors for homes and businesses. No matter if you have a small or big project, we are the only answer for your garage door repair or replacement request. Our repair methods remove flaws without leaving marks, creating the most advanced garage door restoration methodology offered in the industry. Unfortunately, the causes of damaged garage doors are numerous and can occur at any point. Many companies offer garage door repair options that leave behind unintended consequences. We are proud to say we’ve been trusted by many Little Rock, AR area business and homeowners to take care of their garage door concerns. We don’t waste your time assigning inexperienced employees to fix your garage door. Our professionals deliver exceptional services at fair rates. We are dedicated to our customers, and you will be glad you chose us. Our team prides itself on constantly reviewing and researching available repairing and replacing techniques and products. 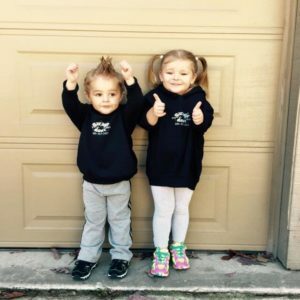 Our Little Rock garage door contractors have worked in the industry for a long time, and over the years, have gained a great wealth of skills and experience. We have painstakingly developed our garage door repair system to remove any superficial damage. Regardless of why you need commercial or residential garage door repair service, we are able to restore your garage door for a fraction of the cost. We keep you informed from start to finish during the project, and we work with you to solve any problem that arises during the job. With our years of experience doing what we do, you can rest assured you have the best team for your garage door repairs or replacements. If you want to bring curb appeal to your sidewalks and parking lots, come to us. We keep your home or business looking good. Our emphasis is quality and craftsmanship, rather than competitive pricing. When your garage door needs renovating, we have got you covered. Little Rock, AR homes and businesses are investments that last for generations. However, regular maintenance is essential. When you need to get your garage door thoroughly examined for any necessary maintenance work, consider The Garage Door Guy Corp.